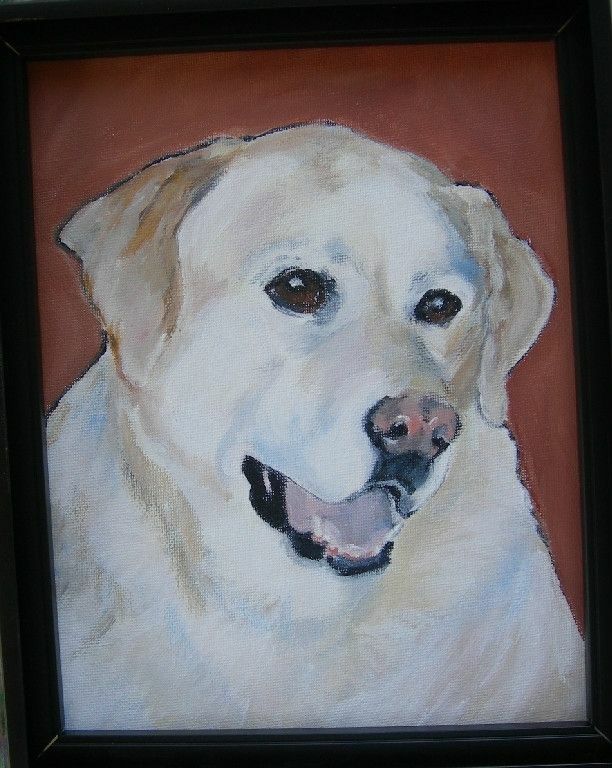 Custom pet portrait of Peaches, a Yellow Labrador Retriever. 8 x 10 inches, painted in acrylic on canvas. Larger sizes and multiple pet portraits can be painted.